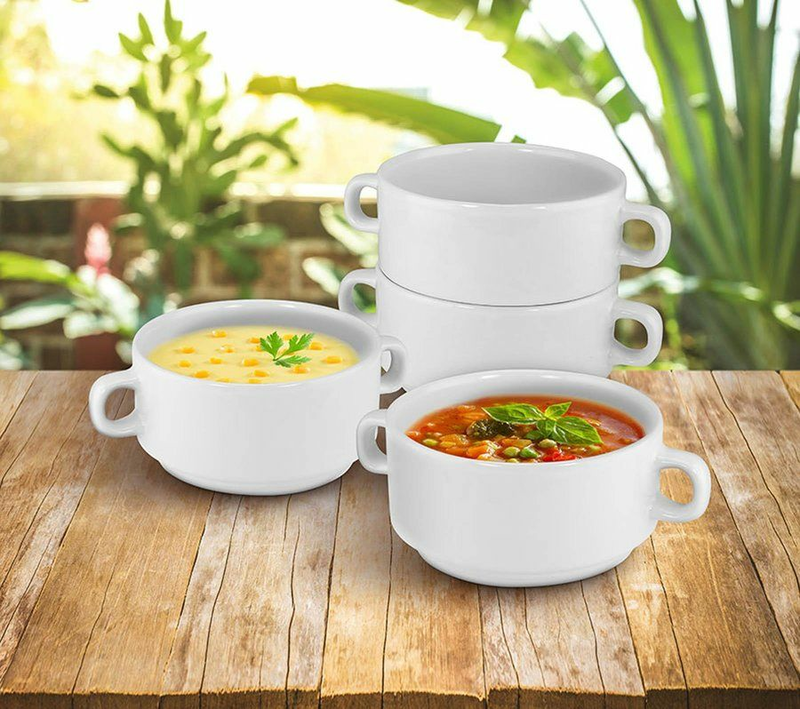 Set includes 4 double handled ceramic soup bowls each holding 20 ounces. 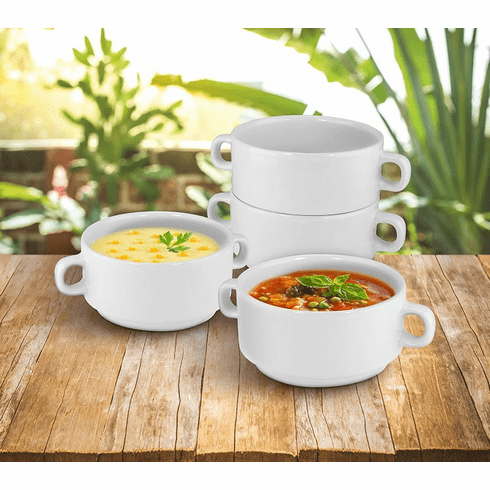 Dishwasher, microwave and oven safe up to 500F. Weight	5 pounds. Each is 7" x 5" x 2.5" high. Ceramic. UPC Number: 841437123036.